The Walden Woods Project is working closely with the Massachusetts Department of Conservation and Recreation to help raise the funds necessary to make Walden more accessible, to keep the pond healthy, and to serve the needs of the diverse people that visit this iconic part of the New England landscape. No matter the reason people come, Walden is a heavily-used state park, and requires a lot of care and maintenance to keep it healthy and protected. We need your help! 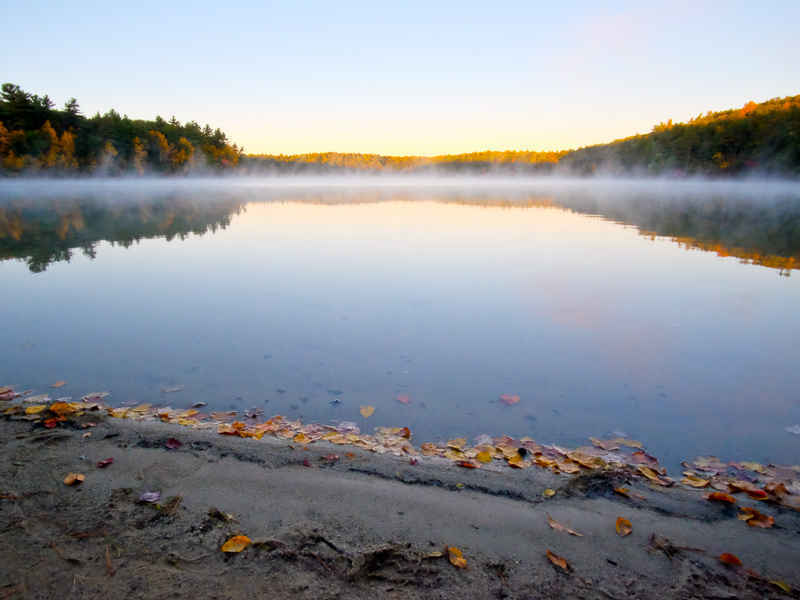 Please consider supporting the Friends of Walden Pond. Your support goes directly to the projects that keep Walden healthy, accessible, and a vital inspiration for generations to come. Honoring a great Cousin Weekend in Concord and our great host. Am proud to have been a supporter of this hallowed ground for over ten tears now. In loving memory of Alan Klein. In memory of I. Charles Feldman, who had a patient, curious mind and who loved Thoreau. In memory of our dear friend, Alan Klein. Growing up and enjoying Walden Pond with my friends growing up inspired me to go into the environmental movement. What a precious place.